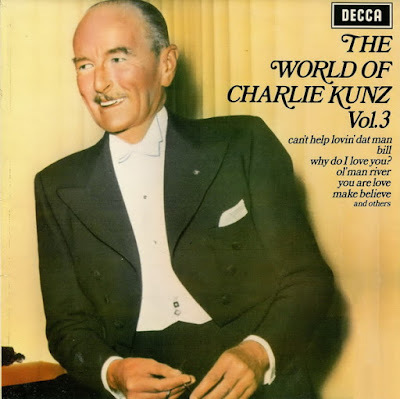 Charles Leonard "Charlie" Kunz (August 18, 1896 – March 16, 1958) was an American-born British musician popular during the British dance band era. Kunz's rhythmic piano style remains unique, a relaxed flowing interpretation of popular melodies played with subtle soft and loud accents, a style which he called "melody and rhythm with expression". 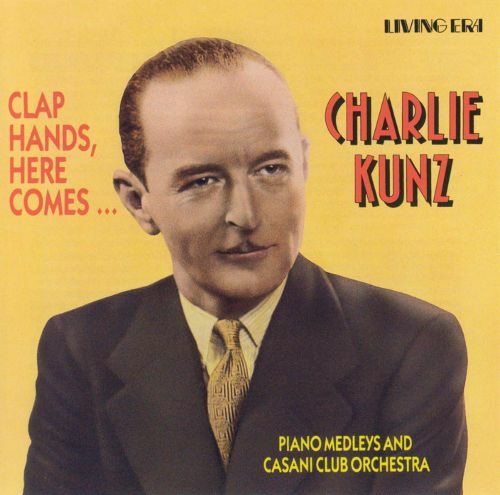 Charlie Kunz, "the Medley King," was born in Allentown, PA. His father was a master baker who blew the French horn. As a youngster Charlie played piano, church organ, and E-flat alto horn. In 1914 he switched from playing classical to popular dance music. He worked as a milkman, cobbler, ribbon weaver, bookseller, and mechanic. During the First World War he was a boiler riveter and a bombshell builder. 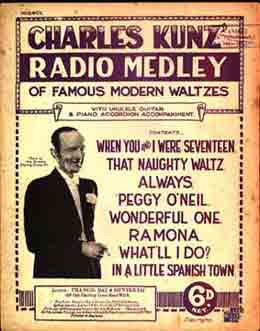 By the age of 19 Charlie Kunz was leading his first band and opening for Paul Whiteman and Vincent Lopez at a ballroom in Allentown. He came to England in 1921 with a group led by percussionist Ed Krick. 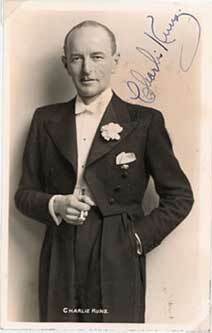 The following year he led Paul Specht's Criterions at the Trocadero Restaurant in Piccadilly. Remaining in England after his friends had all gone home, Kunz formed his first all-British band and began performing at the Lyons Corner House in Piccadilly Circus. Charlie expanded his ensemble to 14 pieces and played the Grafton Galleries. Kunz sat in on piano with the Dix Band at the Olympia Dance Hall in West Kensington and tickled the ivories at Ma Merrick's 43 Club, an infamous sporting house and all-night den of iniquity operating on Gerrard Street, Piccadilly. Kunz then played the Chez Henri Club in Long Acre, found it to his liking, and stayed on for eight and a half years. In late 1928 and early 1929, Charlie Kunz & His Chez Henri Club Band made a handful of recordings for Columbia. The next phase of Kunz's career was inaugurated by nationally renowned dance instructor Santos Casani, who heard the band at Chez Henri and liked it so much that he lured Kunz away to his own Casani Club, which opened in March 1933 in Imperial House, Regent Street, London. Kunz became immensely popular as a result of BBC radio broadcasts that were transmitted from this location. 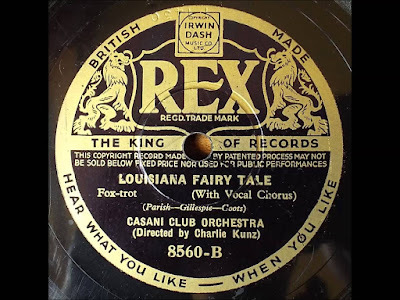 His featured vocalist at the Casani was Vera Lynn; other singers who performed live and on record with Kunz were Dawn Davis, Dorothy Squires, George Barclay, Harry Bentley, Eve Becke, Phyllis Robins, George Buck, and Bobby Comber. Kunz's three mainstay instrumentalists were drummer and xylophonist Tommy Blades, bassist Frank Davis, and guitarist Ernie Penfold. The band's theme song was, naturally enough, "Clap Hands, Here Comes Charlie"; their sign-off theme was "Pink Elephants." 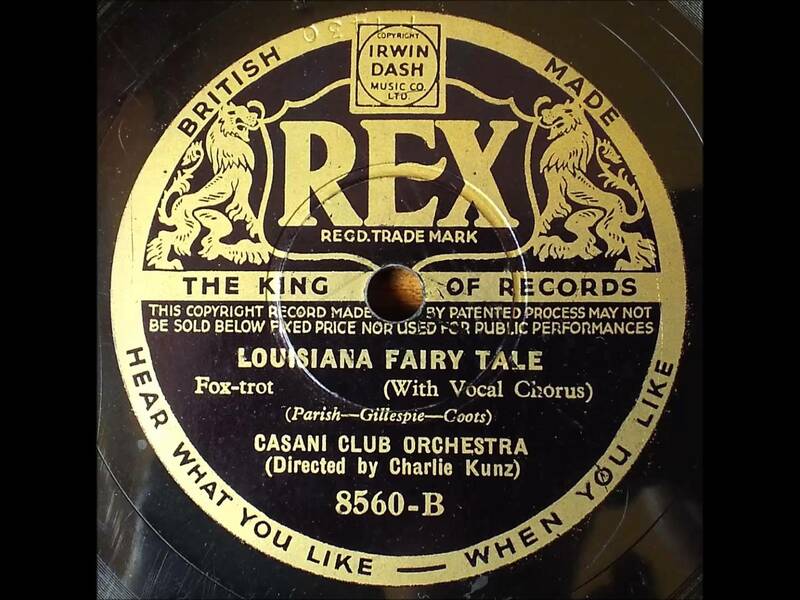 Although he would make quite a slew of records for the Sterno and Rex labels with his Casani Club Orchestra between the years 1933 and 1937, Charlie Kunz played the Holborn Empire alone in 1934 and henceforth toured regularly as a solo act, invariably remaining in England rather than crossing the Channel to mainland Europe. The same year saw the beginning of what was to become a continuous output of solo records of "Charlie Kunz Medleys". His signature tune was "Clap Hands, Here Comes Charlie", and his closing theme was "Pink Elephants". Between 1939 and 1945 Kunz did a lot of work for charity and for the war effort. During the last 15 years of his life he became the unrivalled king of the piano medley, performing alone or with subtle rhythm accompaniment. Kunz was married thrice, to one Amanda Dysher, to fashion model Eva Dorothy Lloyd, and finally to Pat Sparkes. Thank you Bob. Always something to keep here.